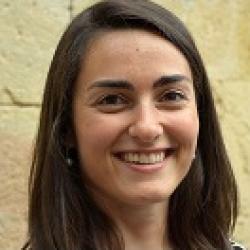 Daniela is Assistant Professor in Management at the Università Cattolica del Sacro Cuore in Milan (Italy) since November 2017. She received a PhD in General Management from the University of Bologna (2013). She worked as a post-doctoral fellow in European projects in the domain of entrepreneurship and technology transfer and has been a visiting scholar at the Leeds School of Business, University of Colorado at Boulder (USA) and at HEC Paris (France). Before starting her PhD, Daniela worked as a professional for around five years in the fields of financial audit and international development in Europe and Africa. Her main research interests regard the multi-level antecedents and processes of entrepreneurship, especially in the contexts of international, academic, social, and immigrant business. Her research has been published in international journals (including International Journal of Management Reviews, Small Business Economics, Entrepreneurship & Regional Development, Industry & Innovation) and book chapters.